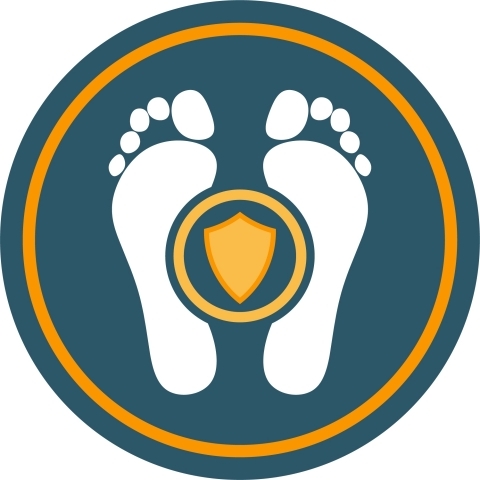 SOMERVILLE, Mass.--(BUSINESS WIRE)--Podimetrics, Inc., a medtech and services company focused on the early detection and prevention of diabetic foot ulcers (DFU), announced today the publication of a landmark study in the July issue of Diabetes Care. Results demonstrate that the Podimetrics SmartMat™ detected as many as 97% of developing nontraumatic plantar foot ulcers on average five weeks before they presented clinically. Importantly, 86% of patients used the mat at least three times per week and 88% of respondents reported it being easy-to-use, suggesting that patients readily accept this practical, new monitoring technology. “The Podimetrics Remote Temperature Monitoring System™ could have huge benefits for patients with diabetes who are at high risk by significantly reducing morbidity and mortality associated with diabetic foot ulcers, which could also lead to improvements in resource utilization,” said Dr. Robert Frykberg, Chief of the Podiatry Section in the Dept. of Surgery at the Carl T. Hayden Veterans Affairs Medical Center and Professor at the University of Arizona College of Medicine, Phoenix, and lead investigator. The study was a 34-week, multi-center evaluation of the Podimetrics Remote Temperature Monitoring System™ in 129 participants with diabetes and prior DFU. The primary outcome of interest was development of nontraumatic plantar DFU, and the primary efficacy analysis was the accuracy of the Podimetrics SmartMat™ for predicting the occurrence of DFU over several temperature asymmetry thresholds. Of the 129 participants who contributed evaluable data to the study, a total of 37 (28.7%) presented with 53 DFU (0.62 DFU/participant/year). At a temperature asymmetry threshold of 2.22°C, which is the standard threshold used in previous plantar thermometry studies, the system correctly identified 97% of observed DFU, with an average lead time of 37 days. Increasing the temperature threshold to 3.20°C decreased sensitivity to 70% but reduced the false-positive rate from 57% to 32% with approximately the same lead time of 35 days. Approximately 86% of the cohort used the system at least 3 days a week on average over the study. The Podimetrics Remote Temperature Monitoring System™ consists of a wireless SmartMat™ for the home and a monitoring service that notifies patients and clinicians when signs of inflammation may be developing. To use the system, a patient stands on the mat for 20 seconds per day at home. Patient data is sent instantly to the cloud, where the Podimetrics system automatically measures the temperature difference between the feet at various locations looking for a possible persistent asymmetry, or “hotspot.” It has been well established that these hotspots strongly correlate with the eventual development of a foot ulcer. If a developing hotspot is detected, the healthcare provider is notified based on their custom protocol. From there an intervention is planned by the physician. Most interventions require a patient to stay off his/her feet while the foot heals itself. If the readout is persistent or more concerning, the patient may visit their doctor to take more aggressive preventative steps. The Podimetrics system is easy-to-use for healthcare providers as the solution is tailored to meet the needs of each specific care environment via close collaboration. Diabetic Foot Ulcers (DFU) are common and expensive complications of diabetes which can result in amputation in serious cases. Approximately 1.7 million Americans suffer from one or more DFU each year. Though all patients with diabetes are at risk for developing a DFU, those patients who have recently healed from a previous DFU episode have approximately a 40% likelihood of recurrence in the first year after closure. It is estimated that direct costs associated with DFU exceed $17 billion annually. Podimetrics is a medtech and services company focused on the commercialization of next-generation hardware-enabled, thermo-imaging solutions for the prediction and prevention of diabetic foot ulcers. The Podimetrics SmartMat™ is the only remote temperature monitoring technology that has received FDA clearance, and has been in over 650 patient homes. The Podimetrics Remote Temperature Monitoring System™ consists of a wireless SmartMat™ for the home and a monitoring service that notifies patients and clinicians when temperature asymmetry presents between the two feet, a potential sign of inflammation and a developing foot ulcer. Podimetrics was formed out of the Massachusetts Institute of Technology in 2011 and is based in Somerville, MA.